Agritourism can be a great way to add supplemental income to your farm but it does come with an additional set of responsibilities. If you are currently running an agritourism operation or are thinking about making this an addition to your farm, you should become familiar with the Compendium of Measures to Prevent Disease Associated with Animals in Public Settings. Following the guidelines outlined in the Compendium will help you make your farm as safe as possible for visitors and protect your assets. Minnesota Department of Health Epidemiologist and UMASH Researcher, Carrie Klumb, presented an agritourism webinar on April 18, 2016. 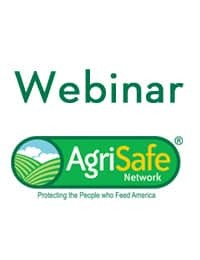 The webinar was hosted by the AgriSafe Network. The title of the webinar was “Agritourism: The Next Frontier in Agriculture”. In the webinar, Carrie discussed zoonotic diseases and best practices to reduce injury and illness to farm visitors. This webinar is FREE – you will just be asked to register before viewing.